Are you shopping for an avid comic book fan? Or perhaps you're a comic book fan yourself? 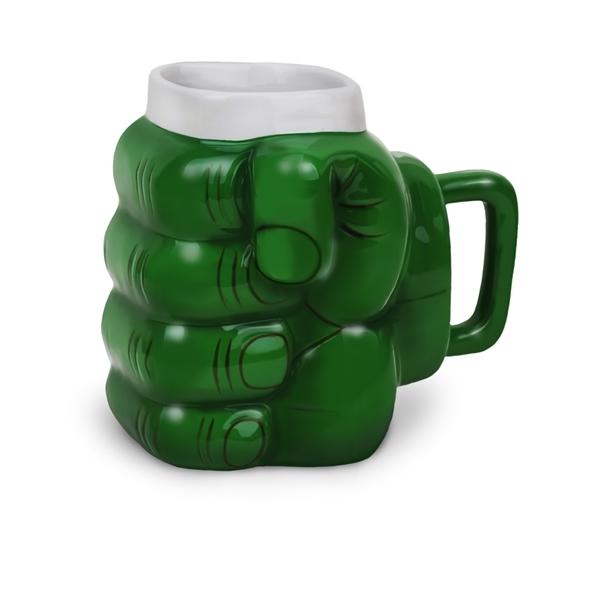 Either way, here are 5 gift suggestions that are perfect for comic book lovers of all ages. Click on the images to learn more about each product. 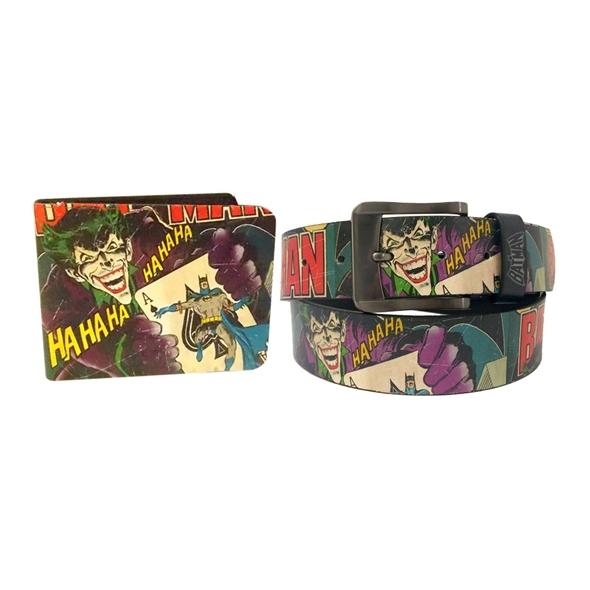 All comic book fans need somewhere to put their money, and this Batman wallet is perfect for that. The wallet is a faded teal colour, and features a cool comic book print on the leather. The original Batman logo is also printed on the front so everyone will know which comic book hero is your fave. Who better to protect your precious iPhone than a genetically-engineered super-soldier? The Captain America iPhone 5 case is a great accessory for comic book fans - it will show off your love for comic books and keep your phone safe from damage at the same time. Do you consider yourself to be a bit of a hero in the kitchen? 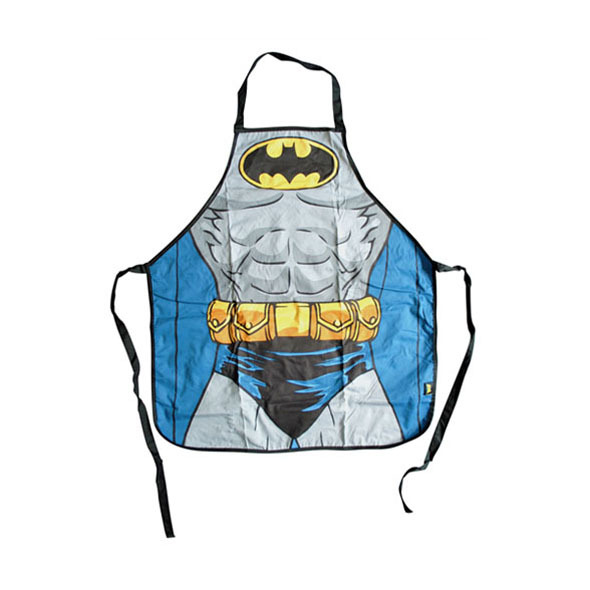 If so, this Batman apron is perfect for you. It keeps your clothes clean while you cook, and it could also double as a cape! We bet that, ever since you first saw Arrow, you've wanted to be the Green Arrow. Well, now you can with this stealth archery set! Obviously, we can't just give you a real bow and arrow (that would be crazy), but this is the next best thing! These Superman cufflinks are perfect for stylish comic book fans. Whether you're wearing them for a night out or a day in the office, you'll look suave and professional whilst still expressing your love for comic books. Click here for more great gift ideas from Gadget Inspector. Win a Superman Alarm Clock! Are you an avid comic book geek? Do you struggle to get out of bed on weekday mornings? Would you like to snazz up your home with a cool, retro-themed piece of pop culture merch? If you answered 'Heck yeah!' to any or all of those questions, you may well be interested in our Superman Alarm Clock. Its bold blue design is very striking indeed, and the addition of the iconic red-and-yellow 'S' logo makes it stand out a mile. Want one? Of course you do! And the good news is that you might just be able to win one in our latest competition. We've buddied up with Hyper Recruitment Solutions on Twitter, and we'll be giving away a Superman clock to one lucky winner this coming Friday. Sit back, cross your fingers, and hope that your name is the one chosen on Friday. That's all there is to it - as it says above, the competition closes at 10am on Friday (March 27), so make sure you get your entry in before then! Click here to see more of the Superman Alarm Clock. She's one of the two new heroes joining the team this time around (the other is Quicksilver, who will be portrayed by Aaron Taylor-Johnson), and the new trailer finds her strutting towards the camera while nonchalantly fireballing Iron Man into a nearby wall. Ultron was already shaping up to be a pretty kickass villain (we love how deadpan he sounds when he speaks), but the new trailer suggests that our intrepid heroes may have more than one Ultron to deal with. At one point, you can see a whole swarm of them, crawling over rocks and up the face of some poor soul's house. Heaven help us all. 3. Hulk <3 Black Widow? There's a rather touching moment in amongst the chaos of that new trailer, and it involves Black Widow and Bruce Banner's big green alter-ego. The Hulk looks a lot less angry than usual as he holds hands with BW and looks utterly, utterly doomed. What does this mean? Can we expect to see a Hulk/Widow ship in Age of Ultron? On the other end of the 'heroes interacting with each other' spectrum, we have that rather promising fight between Hulk and Tony Stark in a bigger-than-usual Iron Man suit. Why are they having an awesome, big-budget fight? Aren't they supposed to be on the same team? We've no idea what's happening here (who is this shadowy figure, and why are they getting naked? ), but golly are we EXCITED to find out. Who'd have thought that a <2 minute long trailer could have so many highlights, eh? There are exactly 100 days until Age of Ultron is released - while you wait, why not check out our awesome collection of Marvel merchandise?